Trailer Mounted Z Booms. 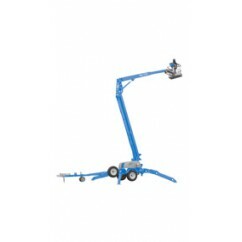 From small portable material lifts to telehandlers, scissor lifts, telescopic and articulating booms, GENIE products offer you exceptional performance, safety and reliability. 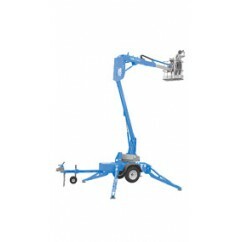 So to meet all of your elevated work platform needs give Chris and the team at Energy Industrial a call today. Energy Industrial stocks a wide range of Trailer Mounted Z Booms. These are for sale in Darwin but can also be shipped nationwide. Contact us today for a quote and our best price (08) 8931 1388. Genie® trailer-mounted Z-booms feature an outstanding operating envelope, making them your best value to reach jobs high and low. Both the Genie® TZ-34/20 and the TZ-50 feature the exclusive Genie® Automatic Leveling System for self-leveling on any terrain, resulting in a faster setup that gets the job started and finished quicker. With easy-to-tow mobillity and simple pictograph controls, it's no wonder that Genie trailer-mounted Z-booms take productivity to new heights.